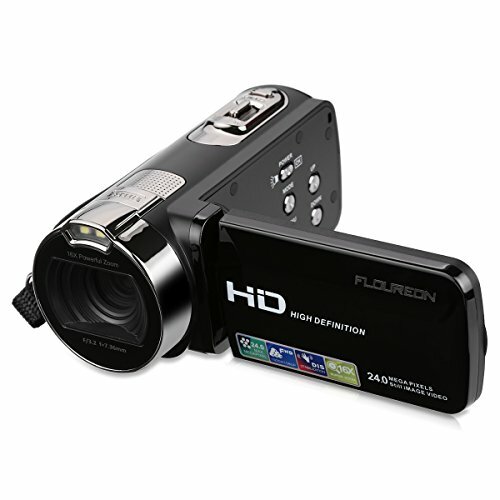 This is a full HD 1080p camcorder which supports external microphone and night vision. Note: 1.Microphone and LED compensation lights need to be purchased separately. 2.SDHC card does not come with standard package and you need to purchase it separately. 3.Please kindly format the SD card in the camcorder before use. 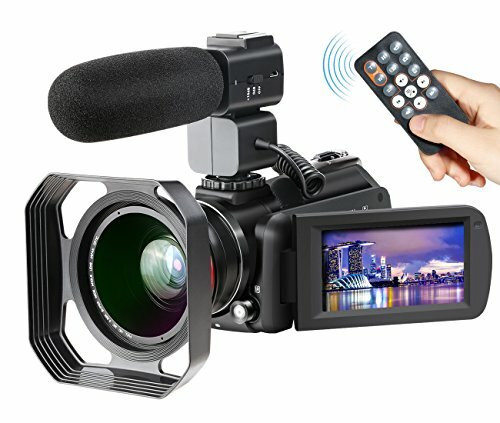 Hot Shoe Support Microphone LED Light Input: This camcorder supports external microphone or LED input, which are excluded in the package. You can connect with a shotgun microphone for better audio performance or LED compensation light for low light circumstances. It also has standard 3.5mm jack to connect with wired or wireless microphone input. Pause Function: The pause function allows you to stop the recording of a long video and then start from where you stopped without having to create a new video file. 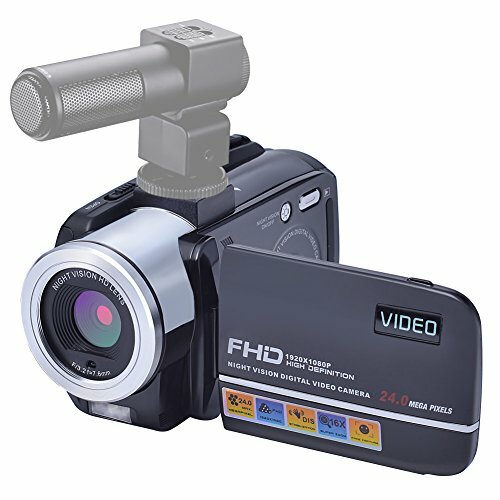 Besides, this camcorder also has many features to produce fun for you, such as smile capture. After you set this smile capture function, t will make a shot automatically when your smile face has been detected by the digital camera. 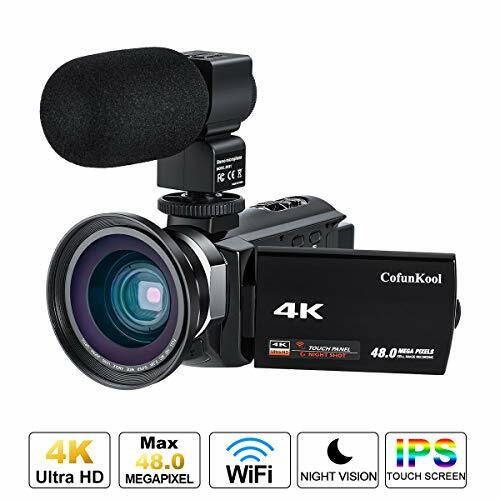 Night Vision Function: The video camera has three pieces of strong built-in IR lights to help you take black-white pictures and videos at night and its working distance can reach up to 9.8FT (3M). It will be a good choice for finder-enthusiasts. 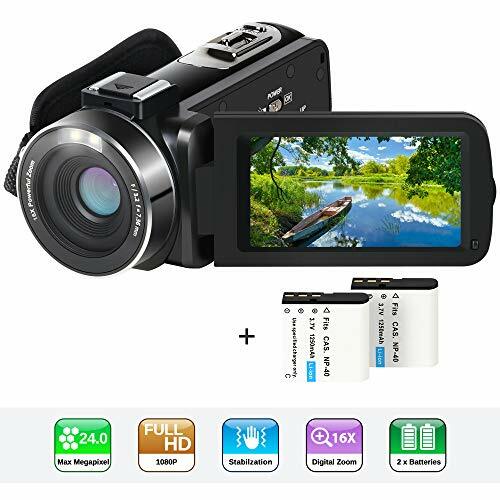 Meanwhile, a 1000mAh li-ion rechargeable battery will come with this video camera. Normally it can keep recording for two hours when the battery is fully charged. 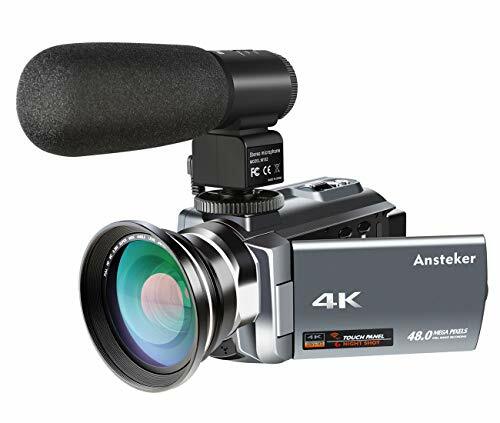 HDMI HD Output: HDMI cable will come with this vlogging camera. The HDMI cable can be used with a variety of everyday electronic components, including computers and home-theater screens. It can provide video, especially at high resolutions, and renders small, high-contrast details in high quality. Warranty: One-year warranty is guaranteed by COMI and customer service will be provided within 24 hours. 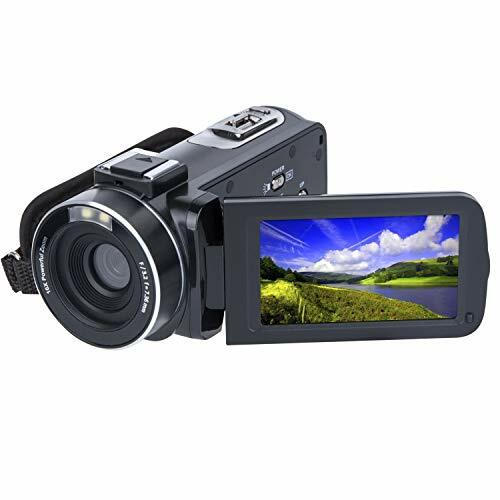 This camcorder has 3 inch LCD screen, which can rotate 270 degree, making sure you see the images from any angles. Besides, this camera has a remote control with it so you can use it while taking group photos. Therefore, all the controls can be accessed through physical or remote controller buttons.